VeriCite DocumentationUser GuidesVeriCite Help VeriCite LTI Instructor HelpHow do I view all submissions for a particular user? 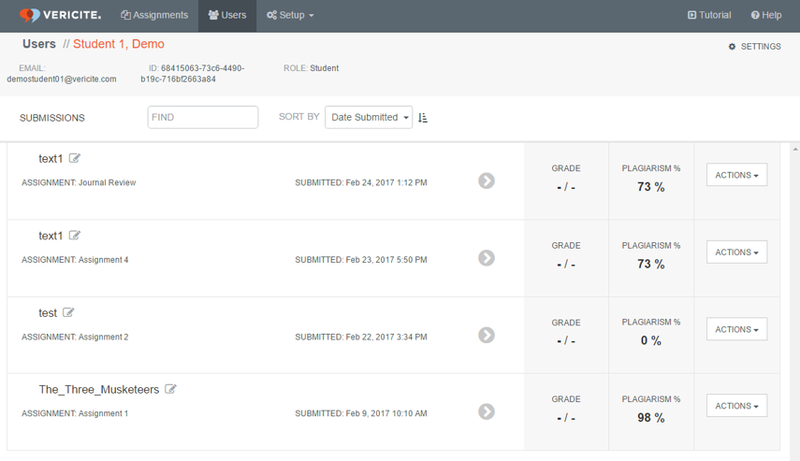 Click on the number of assignments for that user. 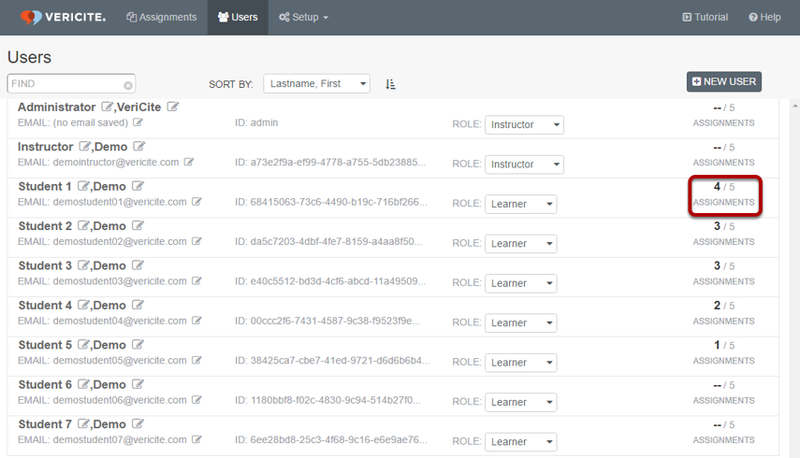 Zoom: Click on the number of assignments for that user. All of the submissions for the selected user will display. Zoom: All of the submissions for the selected user will display. Prev: How do I grade a VeriCite LTI submission? 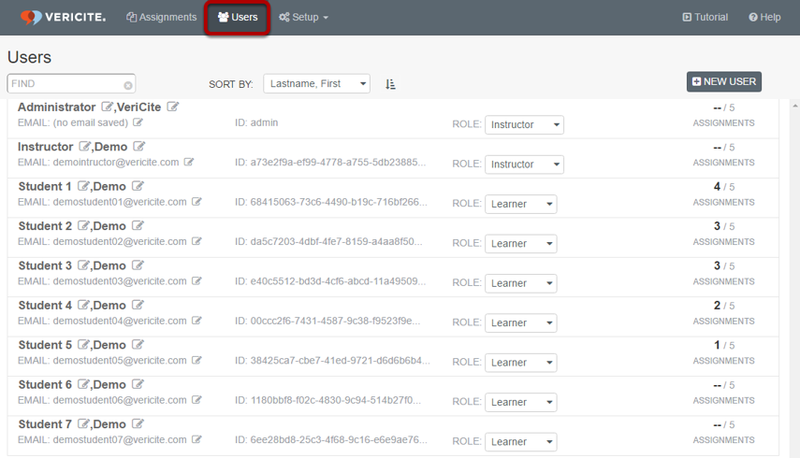 Next: How do I manage users and user roles in VeriCite LTI?